Developer, Father, Rock Climber, and Paraglider Pilot-in-Exile. Loves APIs, ReST, and full stack development. 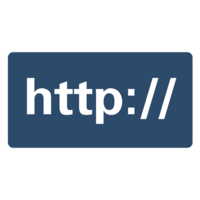 In this course, we will learn the fundamentals of the Hypertext Transport Protocol (HTTP) by exploring several popular HTTP APIs such as the GitHub API. Starting with the basic structure of an HTTP request and response, we will then delve into the specifics of each element of the request/response messages. Using concrete examples from these APIs, we will cover request methods, response status codes, messages headers, and message bodies. Along the way, you'll learn about specific message headers, such as Cache-Control, and Cookie and how they control the behavior of clients/browsers and HTTP API services. This course uses HTTPie, if you would like to follow along with the instructor you can download the client here.